I’ve had this umbrella stand stored for a while now, so I finally decided to create something out of it! I think it was a great decision. 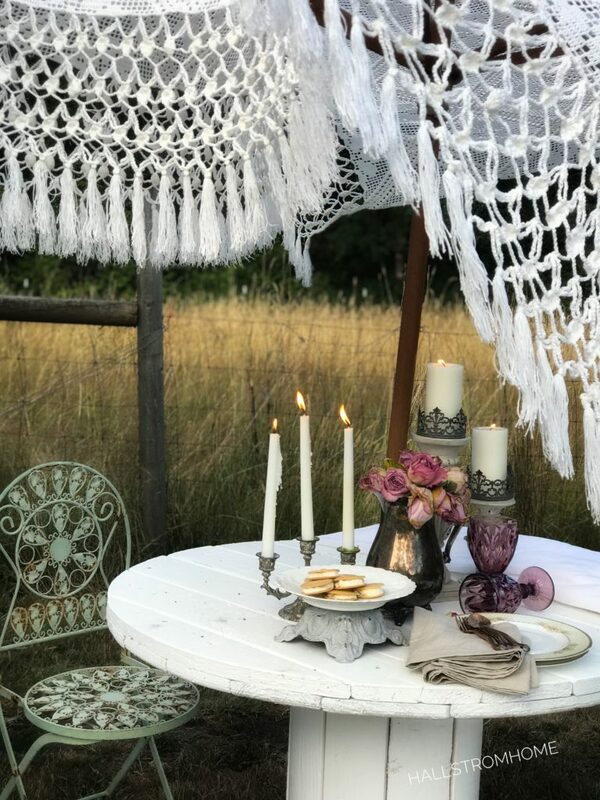 The umbrella really adds a boho look to my outdoor space. 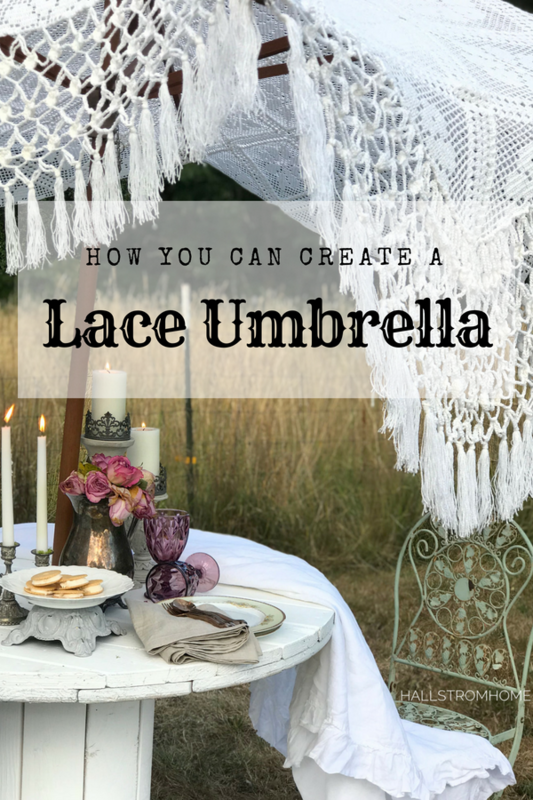 Keep on reading to find out How to Make a Boho Chic Lace Umbrella! This was one of my easiest projects yet! 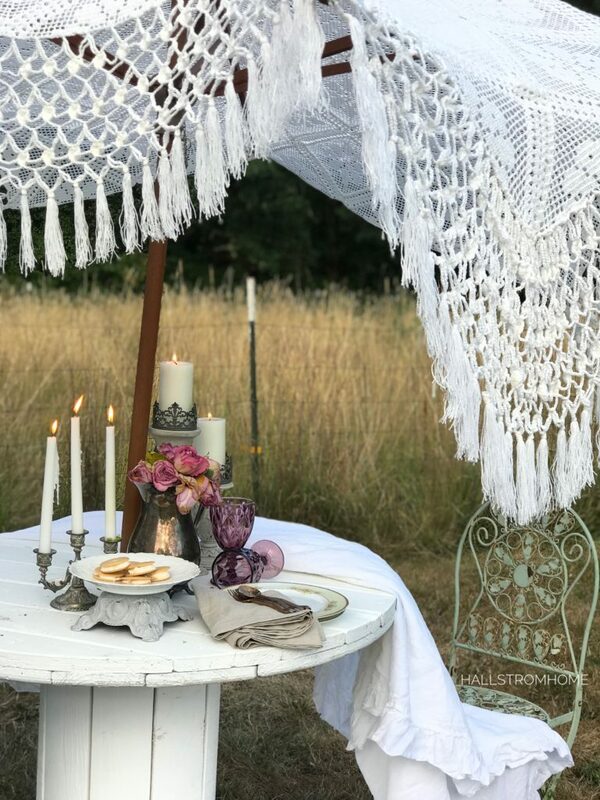 I had an old lace bedspread and it worked perfect for this umbrella stand. Etsy has many options of lace and crochet bedspreads that would be perfect for this project. You can shop to make this umbrella by scrolling through the images below. Since this was a bedspread, there is no fringe on one side. But at the end of the day it isn’t a big deal. Your family and guests will still be amazed at the beautiful work! 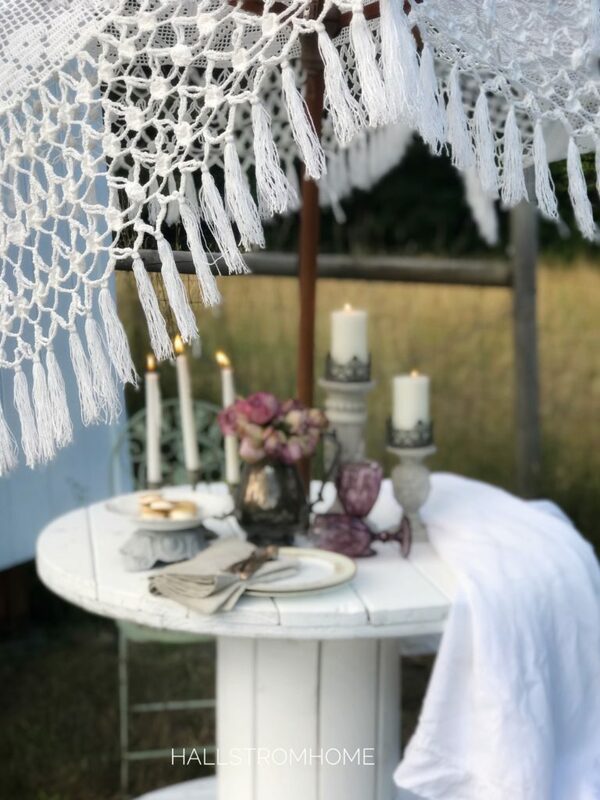 Another great project it to make a small umbrella with lace and hang it from the ceiling! My bedspread already had fringe trim, but you can also add your own. Now to get started. I just draped the lace bedspread over the umbrella stand. Once I laid it out over the top, I got my staple gun and stapled the bedspread onto the end of the posts. I have a wooden stand, so the staples went straight in. 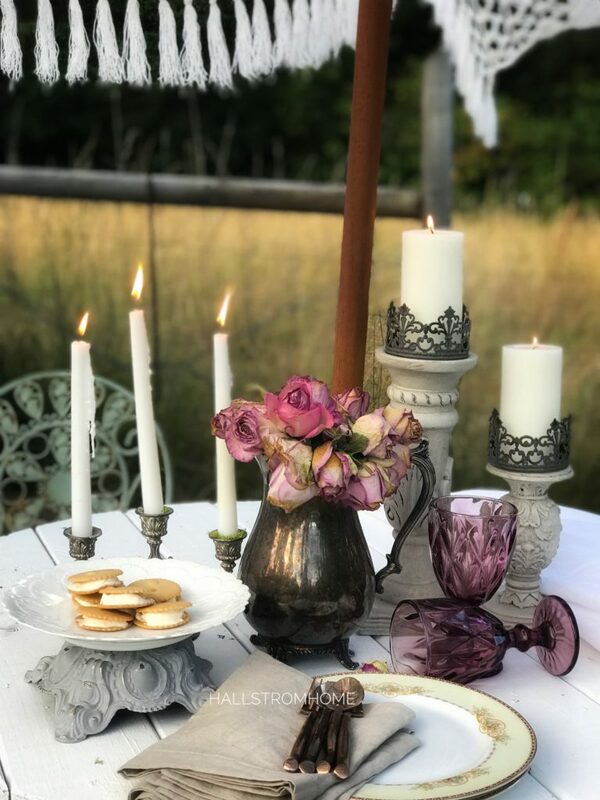 You can find most of the table decor in my Etsy shop here. 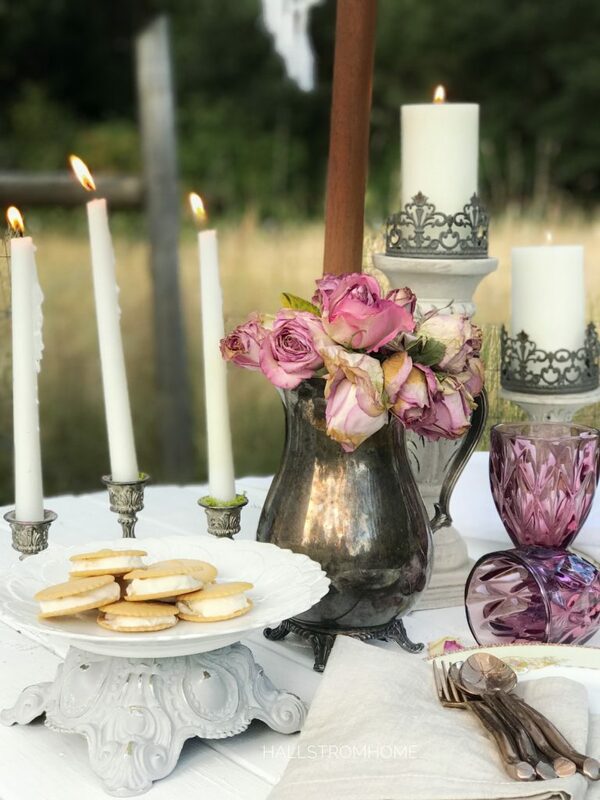 Be sure to take a look at my Instagram for some behind the scenes at HallstromHome. I hope you found some inspiration to try this your self! 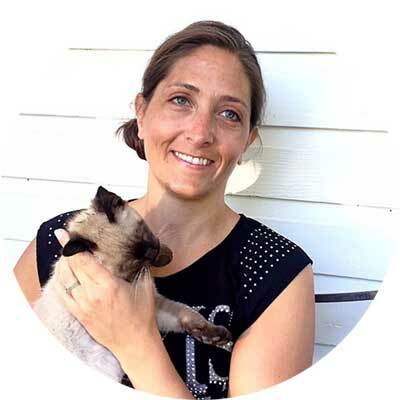 Check out some more projects I’ve done below.